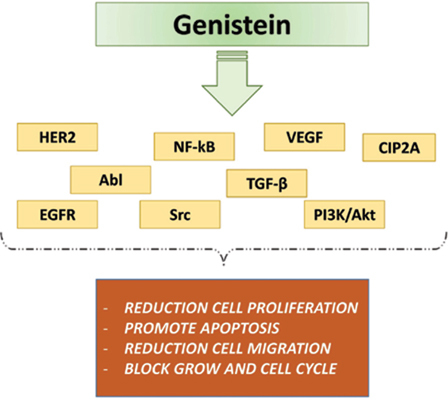 Keywords: Genistein, HNSCC, Nutraceuticals, Isoflavone, Therapy, OSCC. Keywords:Genistein, HNSCC, Nutraceuticals, Isoflavone, Therapy, OSCC. Abstract:The use of nutraceuticals as protection drugs against chronic diseases gained a vast success. Many studies found that nutraceuticals may reduce the tumorigenic actions of carcinogens, inhibiting the adhesion and proliferation of tumor cells.